In 2014, IKEA launched a series of furniture that supports wireless charging. This series is called Home Smart and can be seen as the first exploration of IKEA in the field of smart home. Until August 2017, IKEA officially launched the first smart home product in the true sense - smart bulb Truffi (Trådfri), this smart light bulb can be compatible or connected with other electrical equipment in the home, in the later Product updates, support for a variety of voice assistants such as HomeKit, Alexa and Google Assistant, show the IKEA products have always been open features. On November 28th, at the Xiaomi AIOT Developers Conference, IKEA and Xiaomi announced a strategic cooperation. IKEA's full range of intelligent lighting products will be connected to the Xiaomi IOT system, and this cooperation is aimed at the global market. Recently, it has been reported that smart speaker brand Sonos and IKEA will be officially launched in August this year. This is the first new product after Sonos and IKEA announced their cooperation in 2017. The two manufacturers hope to integrate the speakers and IKEA furniture through a system to achieve connection and intelligence between homes. In addition, according to the media Zatznotfunny report, IKEA Smartshades smart shutters have been listed in some parts of Europe, support online booking, is expected to start shipping on February 2. 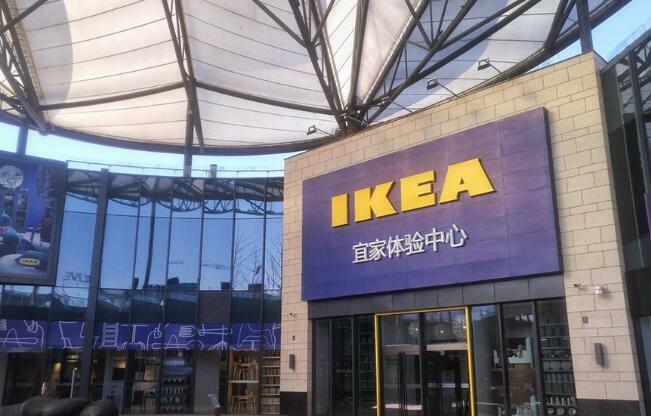 In the 2018 fiscal year, IKEA's growth in the Chinese market was weak. IKEA China is facing pressure from slowing performance growth. That' why ikea explores smart home field for the new growth spot. However, IKEA's exploration in the field of intelligence is still at the stage of developing new intelligent products, and has not considered the platform for the time being.